This tour of the sights and scenes of Fort Worth introduces you to the City of "Cowboys and Culture", Where the West Begins. Covering our rich history from a lonely outpost on the western frontier and the cattle drives of the Chisholm Trail, to the vibrant city Fort Worth is today. The tour begins at 10am on Saturdays at the Downtown Visitor Information Center at 508 Main St. and at 2pm on Sundays at Stockyards Station at 131 E. Exchange. 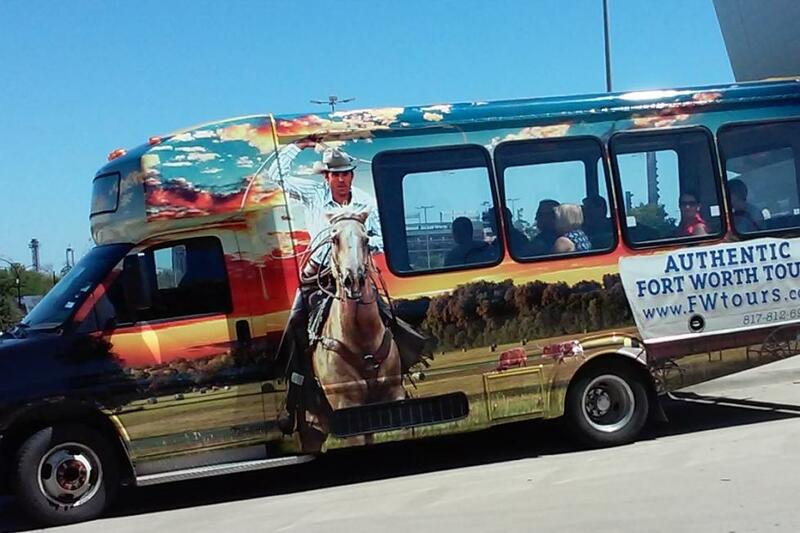 The tour in our brightly decorated bus includes Sundance Square Plaza and our vibrant Downtown, the parks and museums, the Cultural District, and the Historic Fort Worth Stockyards. We introduce you to the best places to shop, to eat and to explore.